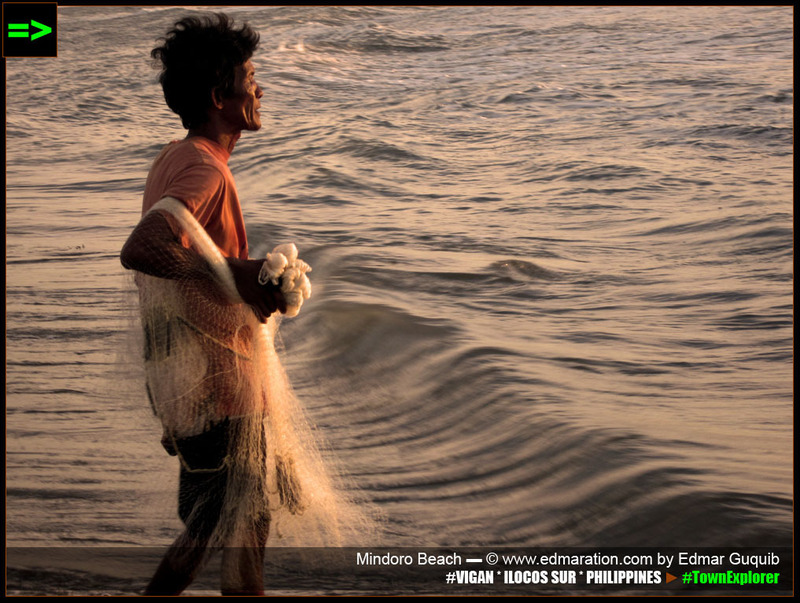 The Bigueño fishermen are heroes of the family they represent. I'm so proud of them. They do live with the present and work with the sunset with the determination to have a bright future. 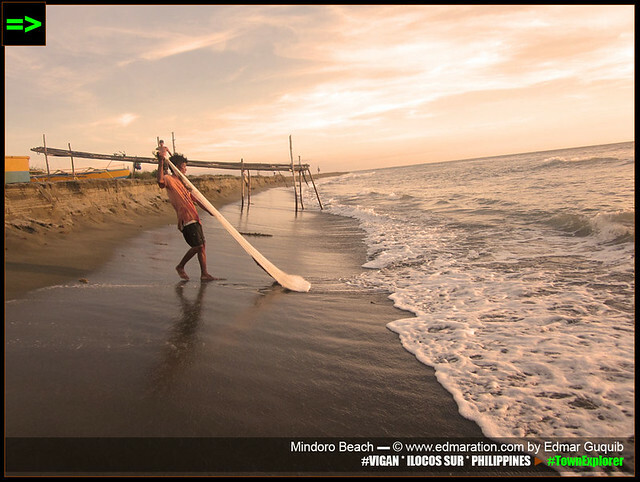 May the wealth of the sea prosper these Bigueños through the grace of God that'll overflow. 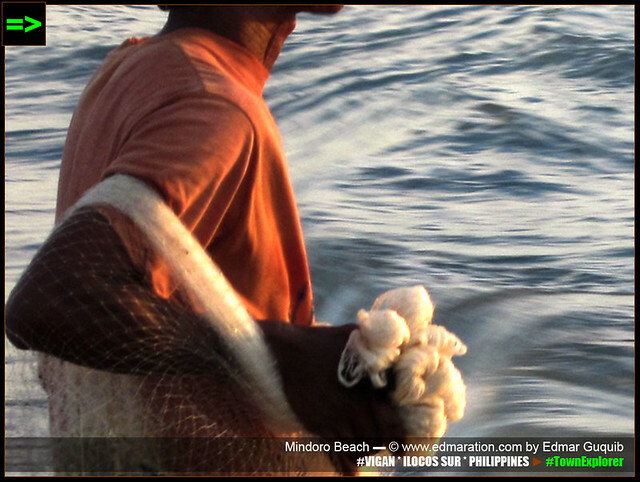 "The Bigueño fishermen are heroes of the family they represent. I'm so proud of them." So here I am again writing about the beach which forms a big chunk of my childhood memories. I still remember my uncle (actually my grandpa's youngest brother but we call him uncle) used to organize a trip here with our extended family and neighbors (20-30 people) every Black Saturday or New Year's Day. Now that I've grown up, I don't have to count 365 days to come here. I visit this beach whenever I want to unleash overwhelming emotions, both good and bad, sometimes, to reflect and have fun. 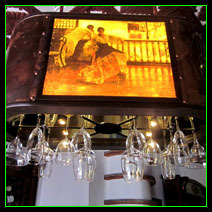 [VIGAN] He works with the sunset. But one day when I visited this beach that has been a part of my growing-up years, I felt a bit emotional. I know I've inherited this trait from my parents. My mother has a soft heart to people and gets mad if she can't help them. I mean, my mom doesn't have all the means. She has limited resources so she can't help all the time. Every morning, I hear her pray for these people persistently. She has a loud whisper. I hear her (or maybe because the dawn is still quiet). My father loves keeping a lot of things even though these things are no longer useful. He puts a date to almost every item he purchases from weighing scale, television set, screw driver to printed photos. Based on those characters, I surely inherited my traits from them. Sentimental value for me is severe and I have a soft heart to the elderly (not including those who have a justifiably bad character). 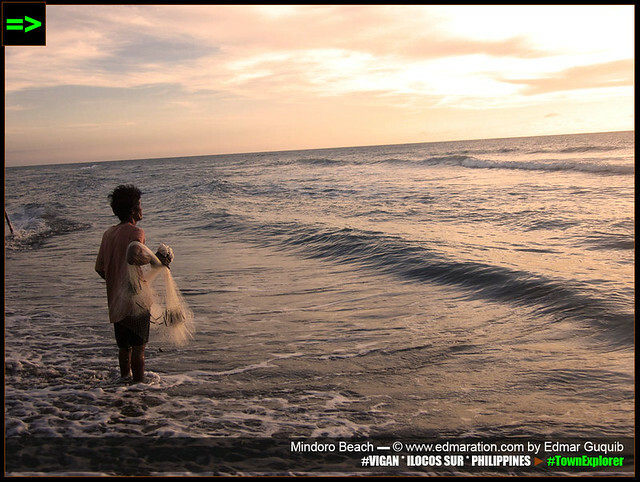 [VIGAN] He faces the horizon. 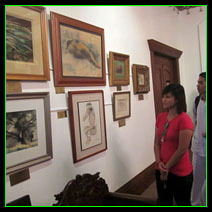 [VIGAN] but not all the time is a lucky day. 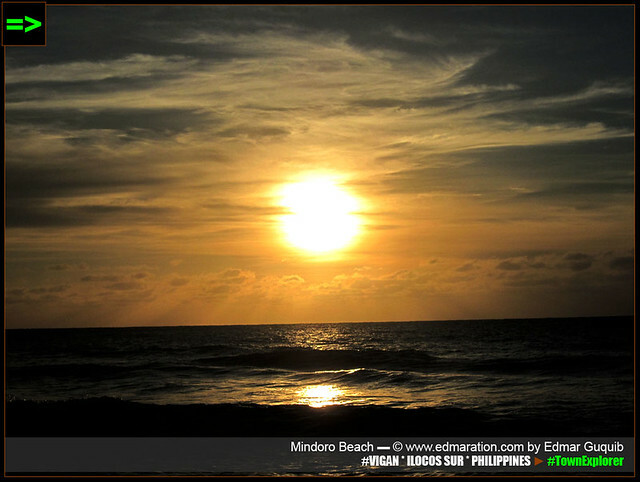 The sunset I witnessed in Mindoro Beach means a lot. It is more than just the fiery horizon. 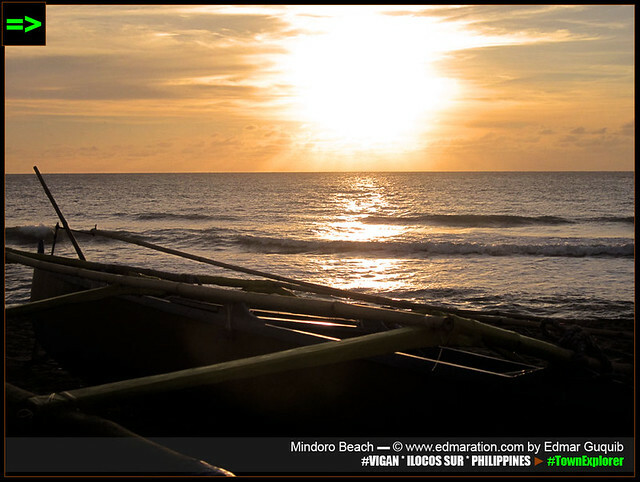 I realized, this sunset is tantamount to the future of the fishermen living near the coast. How? I'm not a fisherman so I don't know their fishing methodology and timing but I observed they waited for the sunset before they threw those nets to the sea. The rationale? I don't know. But sunset was an indicator. These fishermen are not doing this just for fun. They must have been doing this for a purpose, great purpose. It's safe to say that this has something to do with their present and future. 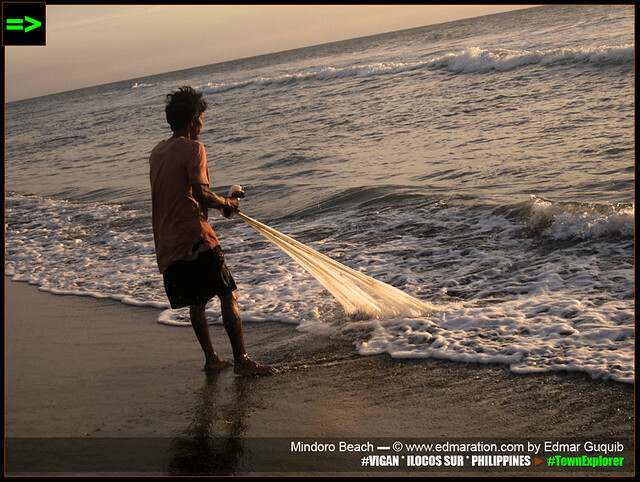 I studied in a public school so I used to have a classmate who belongs to a family of fishermen. I can not appreciate her dark skin and golden hair those times. In fact, she is bullied for her color. But now, I would say, that classmate of mine is so lucky that she has a hardworking father. 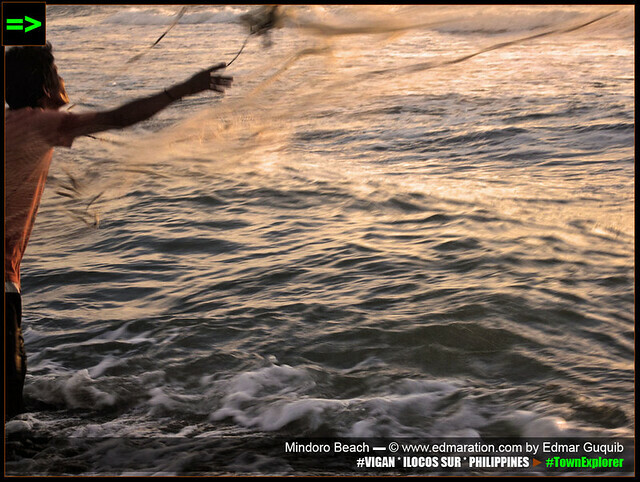 Her father goes to the sea at sunset to give her a bright future. He wanted to catch a lot so that he can sell it to the market, have earnings, have food and have the resources to send his daughter to school. My classmate also helps her father, hence, the skin color and the golden hair. Families like hers are those that can soar high. The sunset signals the coming of the dark but her father deals with the dark to give her a bright tomorrow. So this sunset, again, reminds me of the past when I was still a student of a public school. This sunset, once again, is bringing back the childhood memories, like this one. 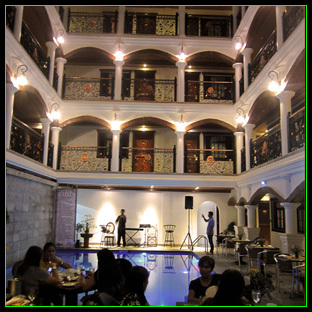 [VIGAN] Tomorrow is another beautiful day. 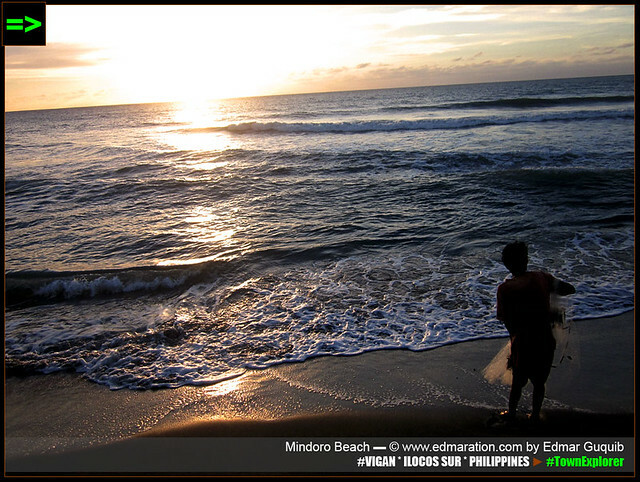 This is my latest version of Mindoro Beach that I've been writing about since I started blogging. What I've just witnessed this time inspired me. So I was compelled to write about it. TEASER ► "...that beauty may fade but the memories will stay." TEASER ► "It was freedom! I breathed the last set of fresh air from the ocean this year. I left my last footprints on the sand." TEASER ► "The clouds were trying to veil the sunset but their capability was just limited to conceal the glorious beauty of the orange sky." 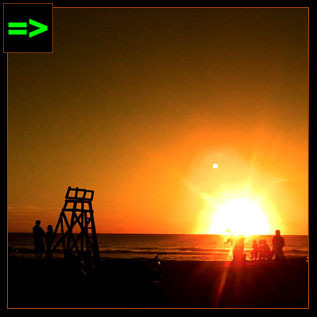 TEASER ► "This sunset I am seeing brings back good memories of dreams and how the simple dreams were fulfilled. Owning a digital camera to capture the sunset was just a fantasy when I was still a student but became a reality later on. This sunset is making me remember that dream." 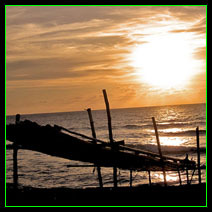 TEASER ► "Unspoiled, sincere, peaceful, surprising - this is the sunset over a remote barrio that is not usually experienced in sunsets seen in crowded beaches and touristy islands." TEASER ► "It is a no question why the couple I am seeing is faced before the sky because I have personally seen how romantic the sky that time is." TEASER ► "For the things I am seeing right this time, my veneration to my God goes stronger being amazed by this wondrous work-of-art that only a Man in Power with supernatural capability can make." TEASER ► "The scenery was very unusual seeing a very majestic volcano standing so high in her own splendid making the surrounding communities nearby to live with awe and pride!" Jerik De Guzman | Uy kabsat! Ilocano ka met gayam! Feel ko magkakasundo tayo given that we value the same things, apir!